Home - AEP | Affordable Equity Partners, Inc. RECENT NEWS: New Affordable Senior Living Development, Grove Gardens at East Lake, Hosts Groundbreaking Ceremony. To learn more, click here. 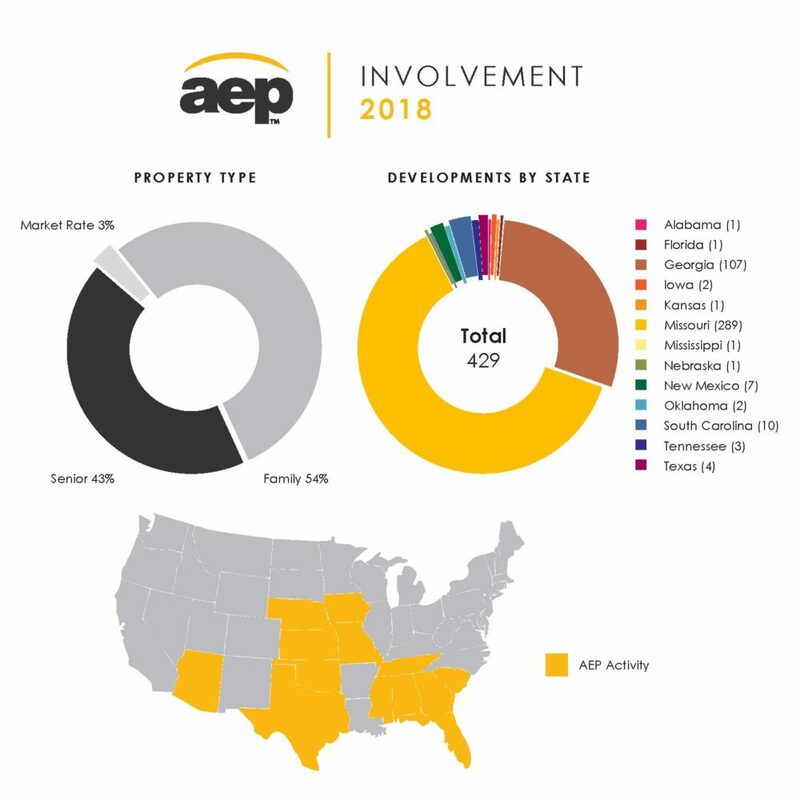 Affordable Equity Partners, Inc. (AEP) provides a full range of investment banking services for those seeking to finance, build, purchase or rehabilitate multi-family housing. Since 1997, AEP has invested in nearly 21,000 homes in 500 communities. We serve the growing need for affordable housing across 13 states in 215 cities. We have successfully syndicated over $3 billion in tax credits to build or preserve homes for working class families and seniors. Our partnerships empower Affordable Equity Partners in executing our mission to develop, build, manage and invest in quality housing where our families would be proud to live. Because of this mutual commitment in addressing the affordable housing shortage in America, AEP has constructed nearly 20,000 homes. Investment in tax credits, obtaining permits, securing financing and completing and submitting documentation on time can be overwhelming. AEP’s more than 30 years of experience provides comprehensive assistance from acquisition to stabilization.